If you want to see the heritage of India and enjoy sightseeing at the same time, then the Heritage of India tour is for you. This itinerary is all about witnessing the heritage of India while being pampered on one of the best luxury trains in India, the Maharajas Express. 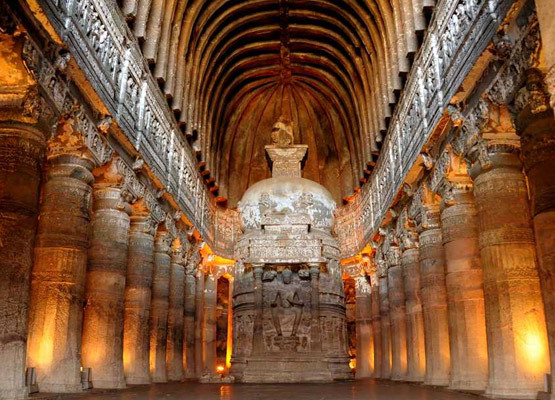 The tour takes you to Ajanta Caves, a UNESCO World Heritage Site in Aurangabad, Maharashtra. 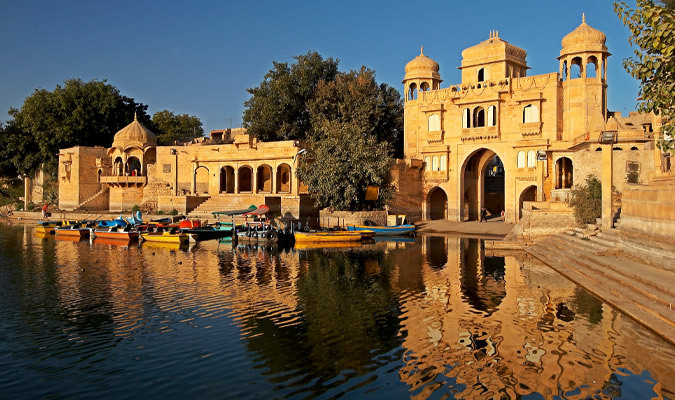 Apart from this, you are also taken to the various cities in Rajasthan that are famous for their regality like Jodhpur, Bikaner, Udaipur, Jaipur and Bikaner. While you are placed in the hands of comfort in Maharajas Express, India’s luxury train, the tour also takes you to Taj Mahal in Agra, whose surreal beauty will leave you completely charmed, as well as the mini-city of Fatehpur Sikri. You will also visit Ranthambore National Park where exploring the wildlife is as exciting as it gets. 15.45 hrs :Drive to board Maharaja's express at Chatrapati Shivaji Terminus railway station, Mumbai. 16.40 hrs :Quickly the train begins its journey towards Ajanta Caves, a UNESCO World heritage site in Aurangabad, Maharashtra. 19.30 hrs :Dinner and overnight stay on the luxury train. 06.30 hrs :Enjoy healthy breakfast on board. 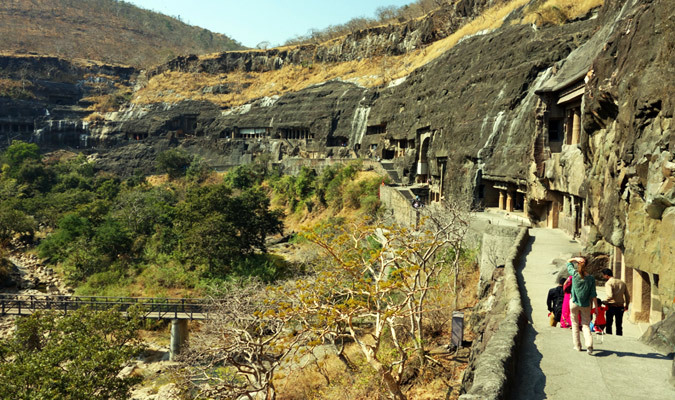 07.40 hrs :Proceed for sightseeing to Ajanta Caves, around 29 rock-cut Buddhist cave monuments exhibiting rich display of beautiful paintings and sculptures. 13.30 hrs :Get back to the comforts of Maharajas' Express train for lunch. Rest of the evening is free for you to enjoy some leisure time in the train. 13.45 hrs :The luxury train now leaves for Udaipur. 10.00 hrs :Today the train enters Udaipur city, the city of Lakes. 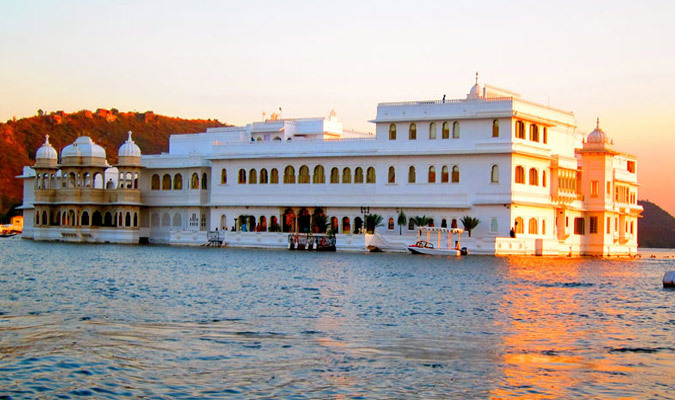 Proceed for a joyful boat ride at Lake Pichola (one of the beautiful and oldest lakes in Udaipur). Later, visit City Palace and Crystal art gallery where you can see great collection of crystal chairs, sofa and even beds. 13.45 hrs :Enjoy scrumptious lunch at Satkar Hall of Fateh Prakash Palace/Jagmandir Palace. 15.00 hrs :Thereafter, in the afternoon, either you can return back to Maharaja's express to loosen-up or go for a shopping tour to lively bazaars of Udaipur or you may choose to indulge in spa facilities at a 5-star hotel in Udaipur. If time permits, you may also attend the Sound and Light show. 20.00 hrs : Back to Maharaja's express for dinner. 22.00 hrs :Afterwards, the train leaves for Jodhpur city. Overnight stay on Maharaja's express. 07.30 hrs: Enjoy early morning at leisure on board Maharaja's Express or you may prefer to go on an optional trip to Bishno village, if time allows you. The other option you may opt for is refreshing spa at a 5-star hotel in Jodhpur. 12.30 hrs: Lunch would be served on board. 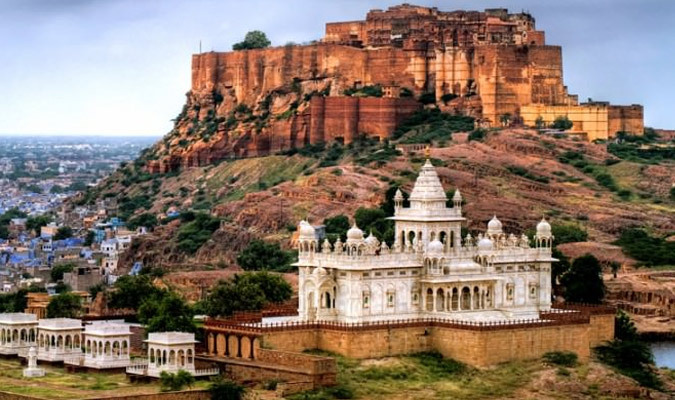 14.00 hrs: After lunch, either visit one of the largest forts of Jodhpur, Mehrangarh Fort followed by a old Clock tower market on foot or rejuvenate your mind and body with spa services at a 5-star luxury hotel at Jodhpur or visit Jaswant Thada or Umed Bhawan Palace Museum where you can see a huge collection of weapons, a banner presented by Queen Victoria and amazing clocks. 18.00 hrs: Later, an unforgettable Royal cocktail dinner session with cultural performances (puppet show) at Hanwant Mahal followed by fireworks. 20.15 hrs: Dinner on board Maharaja's express as it leaves for Bikaner. Overnight stay on the train. 08.00 hrs :Relish the passing prettiness of the city Bikaner while you have your morning breakfast. 10.00 hrs :Arrive in Bikaner and relax on board or you may also select to visit the Lalgarh museum or the famous Deshnok- the rat temple. 14.00 hrs :Visit the famous Junagarh Fort, one of the hugest structures of North India. 16.00 hrs :Later on, head straight to Sundowners at the sand dunes. En route enjoy tea break at Gajner palace. 20.15 hrs :Get back to the comforts of Maharajas' Express luxury train. 21.00 hrs :Thereafter, you leave for 'Pink City' of Rajasthan, Jaipur. 09.30 hrs :Arrive in Jaipur and leave for Amer fort, a world heritage site best-known for its brilliant architectural design. 12.30 hrs :After Amer Fort, next, proceed to City Palace or Jai Mahal Palace where you can choose to indulge in exciting elephant activities like painting them or feeding them or take a elephant ride to Amer Fort followed by delicious lunch. 16.00 hrs :Back to on board to enjoy luxurious facilities provided by Maharaja's express. The other options guests can settle on are refreshing spa at Palace hotel or a shopping tour or enjoy golfing at Rambagh Goff Club or visit the City Palace or Jantar Mantar (an observatory). 21.30 hrs :The Maharajas' Express train will depart for Sawai Madhopur (Ranthambore). 06.30 hrs :Early morning breakfast on board Maharaja's express. Later, enjoy a game safari at Ranthambore National Park, one of the finest tiger reserves in the country. 09.30 hrs :Return back to the Maharajas' Express train. 11.00 hrs :Savor lunch on board as the train leaves for Fatehpur Sikri. 14.45 hrs : Arrival at Fatehpur Sikri, a UNESCO heritage site. 15.15 hrs : Explore the ghost town of Fatehpur Sikri. 18.00 hrs : Come back on board Maharaja's express. 20.20 hrs :Enjoy 'Indian Evening'. Dinner and overnight stay on board Maharajas' Express. 07.00 hrs :The train reaches Agra and embarks on a sightseeing tour to Taj Mahal, one among the Seven Wonders of the World. 09.30 hrs :Champagne breakfast at Taj Khema restaurant. 10.45 hrs :Later, back to Maharajas' Express. 11.05 hrs :The train leaves for Delhi. 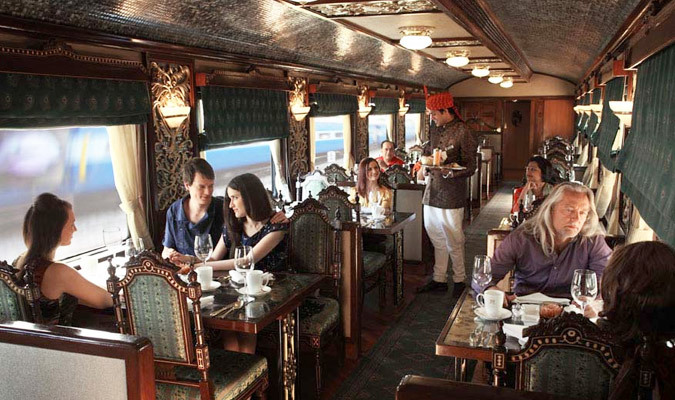 15.30 hrs :Disembark the train and bid adieu to the Maharajas' Express train as your luxurious journey comes to an end.